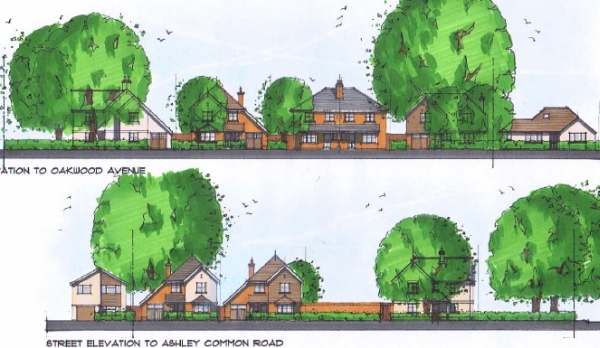 New Forest District Council: Just before Christmas, Pure Town Planning secured planning permission for seven houses on a former pub site in New Milton, Hampshire. 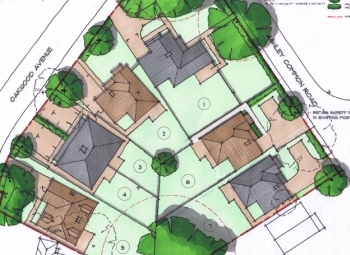 This was a revised application following a previously refused scheme on the site for eight houses handled by another planning consultancy. That application was refused principally due to the amount of development making it appear “cramped”. The members of the Planning Committee in refusing the first application felt that the scheme could be improved. The applicants decided to reduce the scheme to a total of seven houses and we worked really hard at improving the spacing of the dwellings and the design and aesthetics of the dwellings in order to alleviate the previous reasons for refusal. Pre-application advice was sought with the New Forest District Council planners and the revised plans were considered by the planning officer to be “an improvement on the refused scheme”. In combination with this we held a public consultation meeting at a nearby Junior School. The purpose of this event was to offer all local residents within a 200m radius of the site the opportunity to view the latest proposals, make comments and to raise any concerns that they may have. It turned out that overwhelming majority of those who live close to the site were in favour of the new scheme. There was high praise for the scheme from a significant number of residents, many of whom commented that the design, layout and appearance was a great improvement on any previous proposals. This strong support for the proposed scheme continued into the application process with four specific letters of support from local residents and a petition of over 90 people in favour of the proposals! The revised scheme was recommended for approval by the appointed planning officer however, because the applicants seeking to reduce the affordable housing contribution on viability grounds, the application had to go back to Planning Committee again. Matt attended the committee and presented a deputation alongside a neighbour who also wanted to speak in support of the scheme. The Councillors on the Planning Committee unanimously approved the application deeming that this scheme presented a great opportunity to provide new family dwellings that lie within the urban settlement boundary, in close proximity to local shops, services and schools and of a design and form which would not detrimentally impact on the character or appearance of the immediate locality. 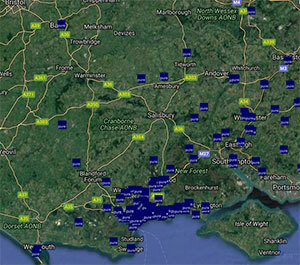 As you can see, here at Pure Town Planning, we like nothing more than securing our clients planning approvals. If you are working on a medium – large residential development and are looking for a firm who will work tirelessly to steer your development through the planning process and secure that all-important planning permission, then why not give us a call or send us an email to info@puretownplanning.co.uk.